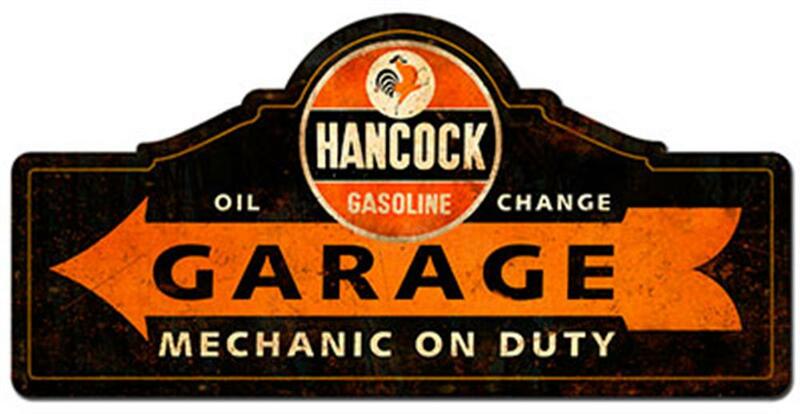 This quality Hancock Garage Gasoline Sign is custom made by hand in the USA using heavy gauge American steel. The sign is designed to look weathered for that vintage look. These signs are made to last and make great gifts for any occasion. This sign is drilled and riveted for easy hanging.